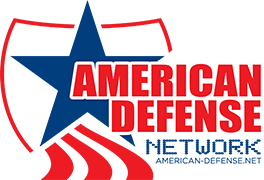 Inaugural members of the American Defense Network (ADnet)! We are making great progress with the creation of our new national non-profit organization designed to focus on research and education campaigns that help Americans better understand some of the most pressing issues our nation faces. We have launched, and our work has begun. We are very close to announcing ADnet to the entire nation via press release soon! More links pointed at our site will help us to grow our web traffic and membership! If you would like to join or support us on social media and be ready to read and circulate future announcements there, ADNET is on Facebook at this link (CLICK HERE), and we are on Twitter (CLICK HERE). It is our hope we can make the official announcement about ADnet to the nation sometime next week. America is facing some very important policy decisions regarding the national debt, government spending, illegal immigration, North Korea and China, and terrorism threats here at home! With your help and support, we hope to build a strong team of Americans dedicated to improving the safety, security, and future of America through our advocacy. Please share this announcement with others by e-mail and social media and request others visit our site and join our e-mail alerts and social media pages as soon as possible. I look forward to hearing back from you with your ideas, questions, and support.